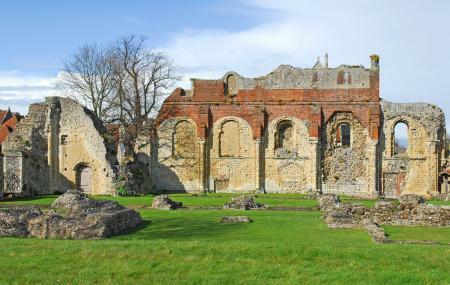 The St. Augustine’s Abbey in Canterbury is a historically significant abbey. Marking the rebirth of Christianity in southern England, the abbey was founded shortly after AD 597 by St Augustine. Now in ruins, the abbey still strikes a peaceful and inspiring pose. It is part of the Canterbury World Heritage Site along with the cathedral and St Martin's Church. A must visit while on your Canterbury vacation, while there, do check out the museum and free audio tour. Since it is a historical ruin, some parts of the abbey are not wheelchair accessible. Seasonal timings apply,Please check official website before planning a visit. Bus stops near HM Prison. Bus stop adjacent Magistrates Court. How popular is St. Augustine's Abbey? People normally club together The Roman Museum and Fudge Kitchen while planning their visit to St. Augustine's Abbey.